Cell and Gene Therapy, known as Advanced Therapies, involves the use of live cells as treatments that lessen or cure health conditions. Gene Therapy involves the transfer of genetic material into the cells of a patient's body to treat the cause of a disease. Cell therapy is the use of live cells to lessen or cure a disease, that come from the patient's own body or from a donor. Cell and Gene Therapy, known as Advanced Therapies, involves the use of live cells as treatments that lessen or cure health conditions. Gene therapy involves the transfer of genetic material into the cells of a patient’s body to treat the cause of a disease. Cell therapy is the use of live cells to lessen or cure a disease, that come from the patient’s own body or from a donor. 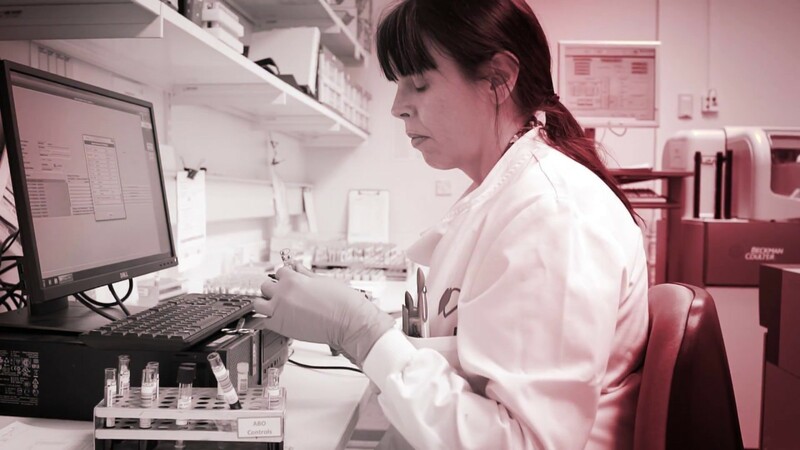 More than two years ago, the Life Sciences Hub Wales, with support from the Welsh Blood Service Velindre NHS Trust, established a special interest group, the Cell and Gene Therapy Special Interest Group. It focused on bringing together the businesses in this sector that had existing activity in Wales with academic experts and NHS colleagues from across Wales. The Group worked on convening their research and development focus, and considering how they could work collaboratively to create an environment in which these ground-breaking therapies could be made accessible to patients in Wales and how this experience could be shared to enable companies and academic teams to bring their developments to market. The Group met on a regular basis and it gathered momentum and a voice, engaging with the Welsh Government to highlight the need to raise the profile of this emerging science, and start to consider how the health service would adopt them and how to maximise the potential for economic and academic development in the sector here in Wales. In the Summer of 2017, the UK Government announced the Industrial Strategy Challenge Fund and a funding call through Innovate UK, with plans to establish three Advanced Cell and Gene Therapy Treatment Centres in the UK. The work that the Cell and Gene Therapy Special Interest Group had already undertaken provided a firm starting point and foundation from which to make a bid andfor Wales to play a key role in this field, and the group turned its focus to supporting an application. Led by the Welsh Blood Service on behalf of the whole of the NHS in Wales, the Group put an application forward to Innovate UK just before the end of 2017. An opportunity arose to work in collaboration with NHS colleagues in Birmingham and Nottingham to enable access to a larger population for treatments. The funding application was submitted jointly with these NHS organisations and nine commercial partners, including TrakCel, based in Cardiff. The bid was successful. As a consortium, the Midlands- Wales Advanced Therapy Treatment Centre (MW-ATTC) secured £7.2 million. From this, £1.5 million went to the Welsh Blood Service, Velindre NHS Trust and £500,000 to a Life Sciences company in Wales called TrakCel, who have global contracts to monitor, track and trace stem cells through the harvesting and evolution journey, managing the track and trace process. This is a great example of where we have convened people with a broad range of expertise and knowledge working in the same field, orchestrated the teams’ challenge and ensured a shared vision and objective. We’ve then worked alongside them to deliver a positive outcome delivering real benefits to patients. The Cell and Gene Special Interest Group is enabling the delivery of innovative products to patients. Without the Life Sciences Hub Wales, the opportunity to advance the capability and capacity in Wales through this funding would not have been possible. We’ve helped to secure the funding to make sure the project is in place, which will make the use of a wider range of products in Wales available sooner. The plans to set the MW-ATTC are now in place and it is anticipated that the first patients will be treated in Autumn 2018. The Cell and Gene Special Interest Group, established by the Life Sciences Wales Hub in 2016, continues to bring together key stakeholders working within the field of advanced therapies to support and stimulate innovation, collaboration and secure investment for the field to grow.